The best collaborations are seamless, done in tandem so that the work we experience is a genuine union, a synthesis of two aesthetic sensibilities. They also offer a space for dialogue, where the work of each artist enters into a conversation with the other, producing something that is wholly of the moment, yet lasting. 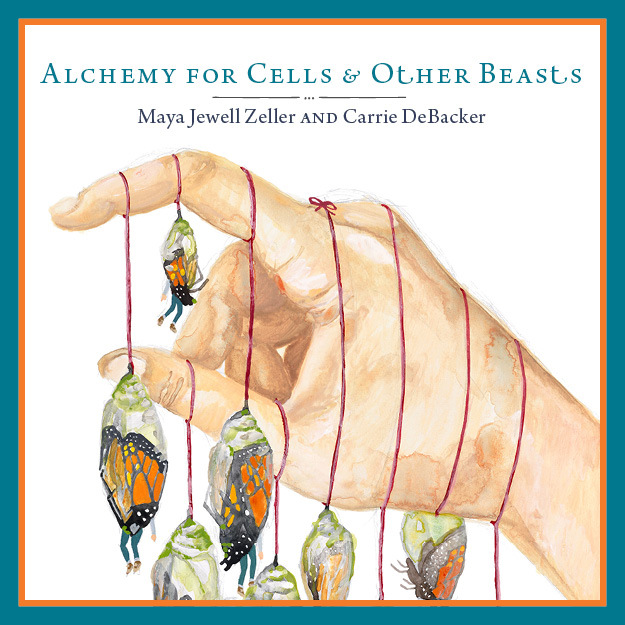 In their partnered book, Alchemy for Cells and Other Beasts, the poetry of Maya Jewell Zeller blends with the watercolors of Carrie DeBacker in such a way as to sit snuggly on high quality end of the spectrum of collaboration. DeBacker’s responses to Jewell Zeller’s text are widely varied – at times dancing around the poetry, possessed with just a hint of its imagery, then becoming at turns less evocative and more provocative of the poem, while at other moments text and image form inviolate parts that together illuminate. Jewell Zeller and DeBacker have created a text centered on the body in the world (“Matter is a state of being, of existing/ in the cave of a consciousness...”), focusing specifically the female body. 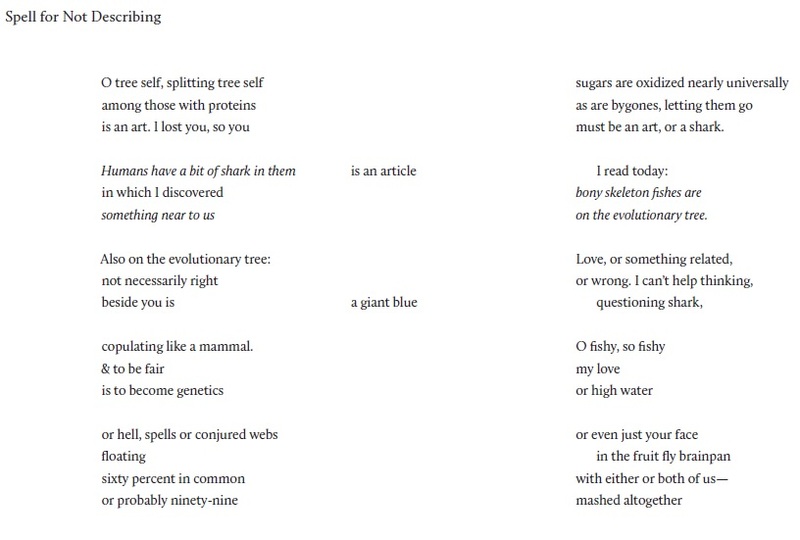 Jewell Zeller gives us a sort of sweeping survey, grounding us in myth, religion, science, and then finally our contemporary moment, taking us from Gary Snyder to Pokemon, a move which can’t help but feel trivial, yet proves legitimately the best way to get at the heart of the subject. This playfulness imbues much of the poems here, and it is equally reflected in the illustrations, where DeBacker frequently fuses the animal, the inanimate, and the human to create hybrid creatures, much like those populating Greco-Roman mythology. Here, the speaker moves towards intimacy through simple kindness. It is an act that bridges not just the infinite distance between subjects, but also, time, denuding mortality of any threat. Jewel Zeller locates us in a textual landscape that is imminently vibrant, demanding our attention. When we read these poems, and take in the illustrations, we are no longer passive creatures, but rather, individuals engaged in a sort of alchemy. The girls and women of these poems, both the speakers and the subjects, create the world by enticing readers to “unlace this alchemous beast/ with me.” As readers, we at once admire and feel ourselves drawn into this worldview. The best eco-poetry as well as ecofeminism grounds us, making us acutely aware of not just the body and place, but how we are entwined, with and not separate from nature. Daniel Casey has a MFA in Creative Writing from the University of Notre Dame. He tweets as @misanthropester and writes at misanthropester.com. He lives in Murray, Kentucky.